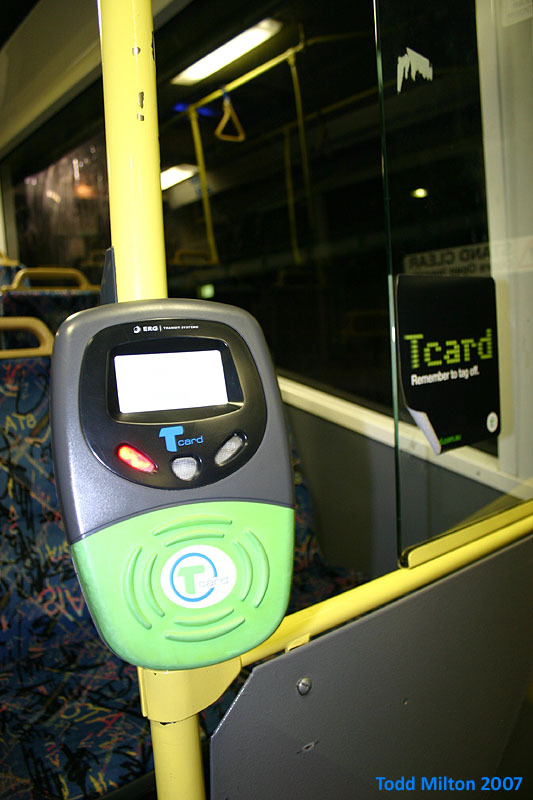 Opal, Sydney’s electronic smartcard ticketing system, is to be rolled out to all stations as far as Wyong on Friday 31 January. 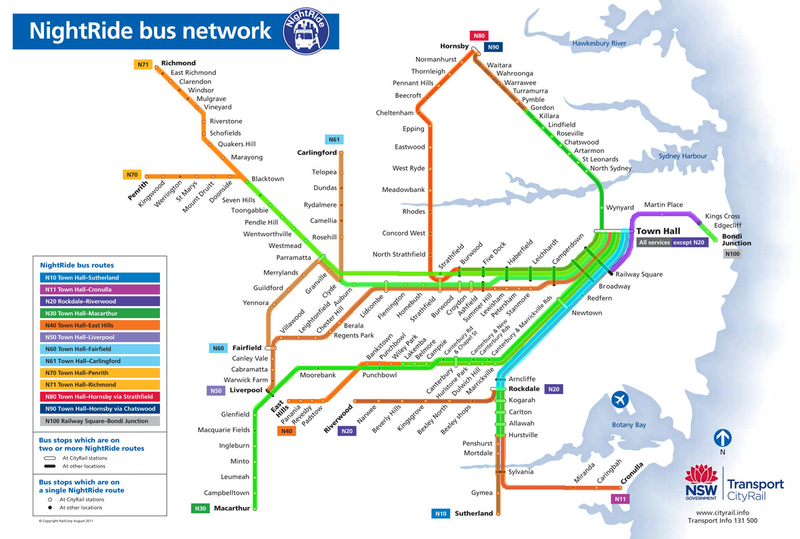 This will add the Inner West, Northern, North Shore, and Central Coast Lines to the Eastern Suburbs Line and City Circle, as well as part of the North Shore Line through to Chatswood, to the list of stations where Opal can be used. Opal currently also operates on all ferries and the 594 and 333 bus routes, and is on track to be rolled out to the entire transport network by the end of the year. Cards can be obtained only via the Opal website. 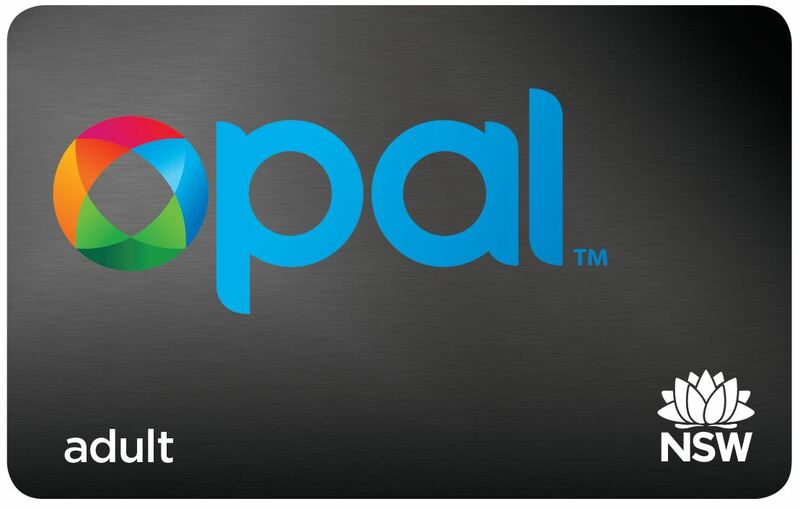 Plans for Opal cards to be available from retailers in “early 2014” have been pushed back to “late 2014”. The next stage in the rollout will be on the Western Line, where Opal readers have currently been installed out to Granville and Carlingford Stations. These stations, as well as others out to Penrith and Richmond, are currently scheduled to have Opal reader installed and operational by the end of March. Update (11:27AM, 16 Jan 2014): Confirmation has come through that Thornleigh station now has Opal readers installed. 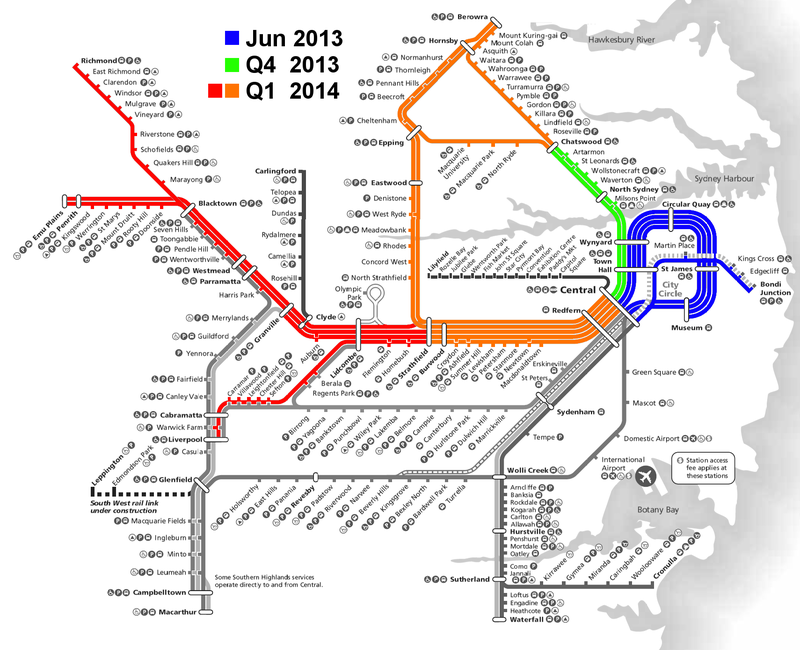 That means the entire Northern portion of the T1 lines are ready for Opal use. 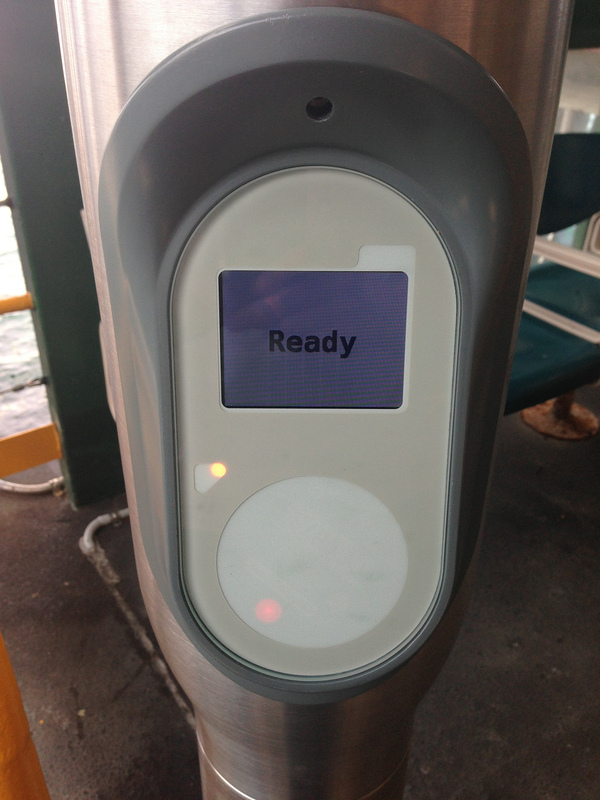 Opal readers have been installed in all but one station on the Inner West, Northern, North Shore, and Central Coast rail lines; suggesting that Opal cards will soon be usable on this sector of Sydney’s rail network. The current schedule has Opal being rolled out to these lines by the end of March, though the rollout has recently been running 1-4 months ahead of schedule. 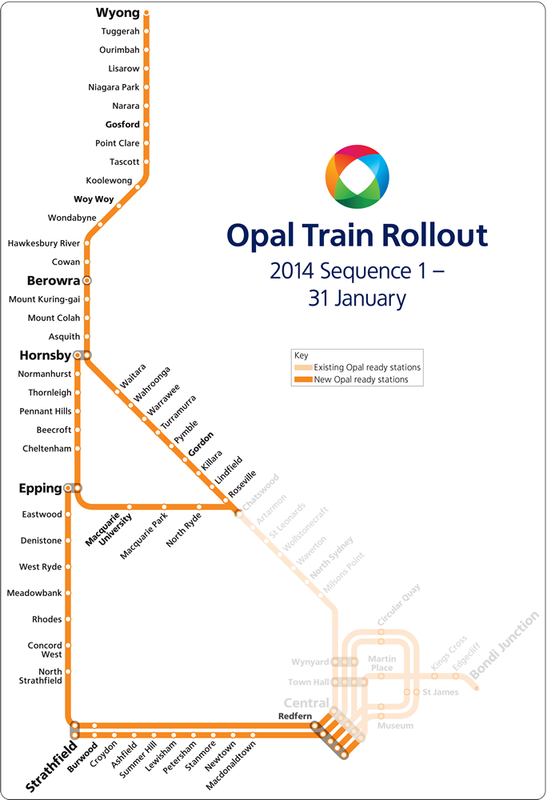 Following this, Opal is set to be rolled out to the Western Line, also with a March deadline. A map of locations with Opal readers installed, created by Robert McKinlay, shows that only Thornleigh station currently lacks Opal readers. All past expansions of Opal’s coverage have occurred on a Friday, so the next expansion of its coverage could potentially occur as soon as Friday next week or even tomorrow. Though Opal’s rollout has proceeded without any major technical issues, it has come under criticism for its fare structure. The lack of travel ten tickets, periodical fares, or multi-modal fares, along with off-peak train fares that no longer allow train users to return during the afternoon peak as long as they obtain their ticket after the morning peak will mean that some passengers will be worse off under Opal compared to existing paper tickets. Those using monthly/quarterly/yearly tickets, occasional bus or ferry users, or passengers making journeys involving more than one mode (e.g. bus plus train) are those most likely to be worse off. However, Opal also provide a number of potential benefits. 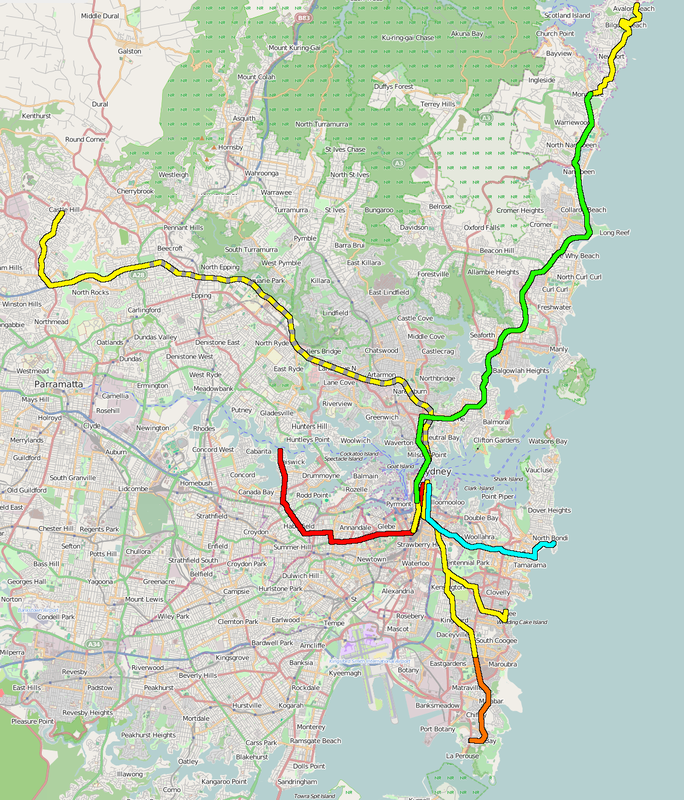 These include calculating trip distances as the crow flies rather than as actually traveled, which reduces trip length and thus the fare; free transfers within a single mode such as bus to bus or ferry to ferry; off-peak rail fares on weekends; a $2.50 fare cap on Sundays; cheaper fares compared to a standard non-Opal ticket; and removing the need to obtain the correct ticket before traveling. Due to a calculation error, some corrections have had to be made to the previous 2 posts, published last week (The cost of transport and fare setting) and earlier today (Follow up to fare setting). The error involved mixing up the average length of trips for buses and ferries (they were swapped around the wrong way), and a rounding error for train fares per passenger km. An error has been made. This image was procured without obtaining the necessary permission, for comedic purposes. The adjustments show that the operating cost per passenger km is actually the same for trains and buses, but remains higher for ferries. Meanwhile, the fares paid per km now see a much greater disparity between buses and trains. As a result, the initial conclusion that multi-modal fare integration between only buses and trains remains, given that the have almost identical operating costs per passenger km (previously there was a small disparity). However, this will become harder to achieve politically, given that the increased disparity in fares per passenger km mean having to increase train fares by 50% relative to bus fares. This could be achieved by a combination of bus fare reductions and/or train fare increases, and this in turn could be achieved by the removal of discounts for trains (such as the heavily discounted periodical tickets) or expansion of discounts to buses (such as the off-peak travel discount currently available on trains only). As before, the second post discusses many of the limitations of the assumptions that underlie this conclusion. Although the figures have changed slightly, the arguments and ideas discussed in those posts, along with the comments, which have proven to be very interesting in their own right, remain worthy of consideration. Correction: A calculation error was made in the initial post. These errors have been corrected (original figures shown struckout). The graphs have also been corrected. While these figures still support bus plus train fare integration, given the similar cost per passenger km for those 2 modes, it does make achieving this appear more difficult given that there is no longer a small gap in the fare charged per passenger km for those same modes. Therefore, doing so remains the most likely outcome, but would now require a large (circa 50%) increase in train fares relative to bus fares. A post published here last week about fare setting resulted in a fair amount of interesting discussion, enough to warrant a follow up, starting with a recap. When setting fares, one of two approaches can be taken: a cost based approach and a distance based approach. The first approach is to require fares to represent the cost of providing the service. The more expensive it is to provide that form of transport, the more expensive the fares should be. This uses price signals to encourage passengers to travel on the mode of transport which costs the least to provide. The average cost of transporting a passengers a single km on each of the different modes works out to: $1.27 $0.96 on a ferry, $0.79 on a train, and $0.59 $0.79 on a bus. This suggests that, given a similar length journey, fares for buses and trains should be equal, while ferries should be about 115% 22% higher than for buses and trains, and fares for trains should be 34% higher than for buses. However, the average fare for a passenger traveling a single km on each of the different modes works out to: $0.41 $0.31 on a ferry, $0.17 $0.23 on a bus, and $0.13 $0.15 on a train. Thus, ferry fares are 141% 35% higher than buses (too high: they should only be 115% 22% higher), while train fares are actually 24% 35% lower than buses (too low: they should be 34% higher the same). Thus, in order to properly represent operating costs, ferry fares would need to be cut by 11% 9% and train fares would need to be raised by 57% 53%, with bus fares remaining steady. The second approach requires fares to represent the distance traveled by passengers, effectively integrated fares. Two people traveling 1km on public transport should be charged the same, regardless of which or how many modes of transport are used. This ensures that passengers use the most efficient and effective route to reach their final destination, rather than prioritise one that minimises transfers. As previously mentioned, the average fare for a passenger traveling a single km on each of the different modes works out to: $0.41 $0.31 on a ferry, $0.17 $0.23 on a bus, and $0.13 $0.15 on a train. Thus, in order for fares to be the same for traveling the same distance, ferry fares would need to be cut 59% 35% and trains would need to be raised 31% 53%, with bus fares again remaining steady. The previous post concluded that if integrated fares was the goal, then it would be easier to achieve fare parity for trains and buses, given the smaller disparity in fares similar operating cost per passenger km than compared to that between ferries and buses/trains. However, doing so would require a 50% increase in train fares relative to bus fares. This does not necessarily mean a change in the base fare. For example, much of this is possible via the removal of heavily discounted periodical fares for trains, which account for 45% of train users, that appears to be occurring with the rollout of Opal. This conclusion is based on certain assumptions which do not always hold up well, some of which have been pointed out in comments to the earlier post. The post assumes that the fare per km and cost per passenger km are constant within each mode. In reality, these vary wildly based on things like total distance (short trips have higher fares per km than long distance ones), availability of concessions (children/pensioners/students pay a lower fare than working adults), geographic location (highly patronised inner city services cost less per passenger km than sparsely patronised outer suburban services due to costs being divided among a greater number of passengers), etc. As a result, claiming that fares cannot be integrated because one mode costs more than another overlooks the fact that each mode is made up of a number of routes, some of which will have higher costs and some of which will have lower costs. The figures used also only consider operating costs, and not any capital costs. This is most significant for trains, which require a large up front investment in the form of railways, often underground, whereas for buses and ferries these costs are often small or nil. It could be argued that these are sunk costs: they have already been made and cannot be reversed, so should not be considered in decision making. It is also the case that rail operating costs (2013: $4.0bn) are many times the size of its capital costs (2013: $1.6bn) according to Railcorp (p. 8) But given the billions being spent on expanding and maintaining the rail network, it remains difficult to eliminate capital costs entirely from consideration. David Caldwell made a strong case in favour of including ferries in any multi-modal fare integration in one of the comments to a post he wrote about Opal back in 2012. It’s too long to replicate in its entirety here, and the post itself is even longer, but both are definitely worth a read. Finally, there is also the possibility that different modes of transport may retain their differing fares, but with only a single flag fall per journey. The dual standard currently applied by Opal is worth noting here as currently two trips made one after another are considered a single journey for the purposes of reaching the 8 journey per week level after which all travel is free, yet each trip within that journey has a separate fare. Each of those fares has a flag fall component (akin to the $2.50 flag fall paid to a taxi driver for merely boarding the taxi) and a distance component (which increases roughly in proportion to the distance traveled). It would be quite achievable to remove the flag fall, but retain separate fares for different modes. The argument here that Treasury would be opposed due to the loss of fare revenue is valid. But Treasury has already appeared to have lost that fight on single mode fare integration, given that the fare for two bus trips is now calculated as though only one was used. However, this was likely achieved because the distance component of bus fares is the same for all buses, and so it would be difficult to extend this to other modes until two or more modes have similar fare calculation methods. That is why the previous post recommended that buses and trains adopt similar fare bands. This is easiest for buses and trains because the disparity in fares between them (24%) is much lower than that for ferries and buses (59%).